90% of the population engaged in, mainly subsistence, agriculture and some mineral and agro-processing. Tourism, minerals, coffee and tea are Rwanda’s main sources of foreign exchange. 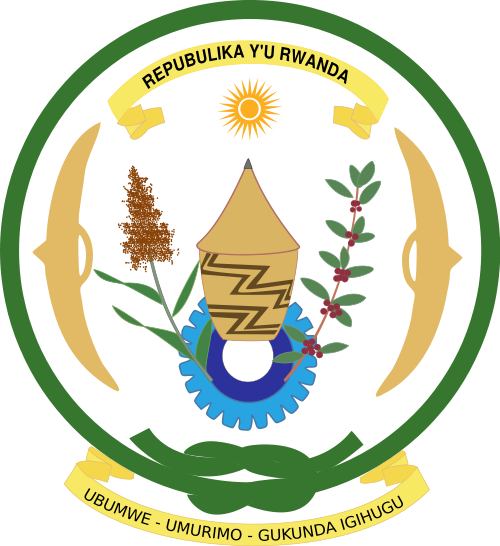 Rwandan Embassy in the U.S.
[New Times] Rwanda is considering setting up a Centre for Nuclear Science and Technology (CNST) within the next five years, an official from the Ministry of Infrastructure has revealed to The New Times. [New Times] Prosecutor General Jean Bosco Mutangana on Tuesday told The New Times that his office is ready to support efforts by UK authorities to bring to justice five Rwandan men suspected of participating in the 1994 Genocide against the Tutsi in Rwanda. [New Times] Gicumbi coach Camarade Banamwana has challenged his players that the club is not safe from relegation yet following their 1-0 win over SC Kiyovu on Sunday. [New Times] The fourth edition of the monthly Heineken Golf Corporate Night competition takes place this Friday at Kigali Golf Club. [New Times] Media practitioners have welcomed the decision by the Supreme Court to rule against some provisions in the penal law, which included those that criminalise humiliation of public authorities as well as defamation of religious rituals in the public.